Eager to mark ourselves as a renowned name in the engineering sector, âPIC ENGINEERS INDIA PVT. LTDâ is a 10 years old firm engaged in supplying a wide range of industrial pipe and fittings. Apart from trading a wide range of pipes and fittings, we also offer effective turnkey solutions which involve lying of pipelines and providing consultancy to our clients. These services are executed in a well planned manner under the perfect co-ordination of our team of experts who hold a wide experience in the concerned sphere. It is the dedication and hard-work of our team which has led us in supplying a wide range of Pipes and Fitting. Our product range include - butterfly valves, non return valves, ball valves, foot valves, pipe gaskets, pipe joining equipment, PP fittings, industrial HDPE pipes, HDPE pipes, MDPE pipes, PP pipes, PLB ducts, HDPE conduits, pipe fittings, valves, PP ball valves, HDPE ball valves, irrigation fittings, pipe joining machines, pipe fitting equipment etc. Outstanding market experience has led us in supplying our range of pipes and fittings to cater to wide applications in industries such as: Chemical Power Textile Paper Mills Sugar Mills Breweries Water Treatment Gas Distribution Agriculture Telecom Construction Infrastructure Quality being undoubtedly the prime aspect while delivering range is paid the utmost importance while dealing with our clients. 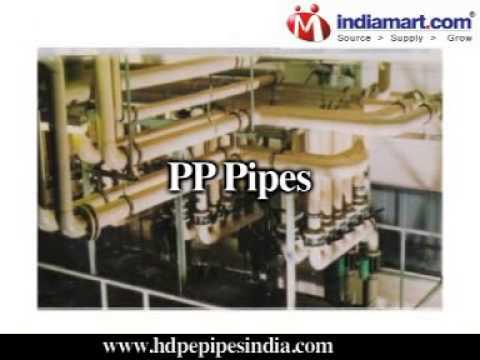 We are a quality conscious organization and understand the importance of satisfying our clients with superior quality range of pipes and fittings.